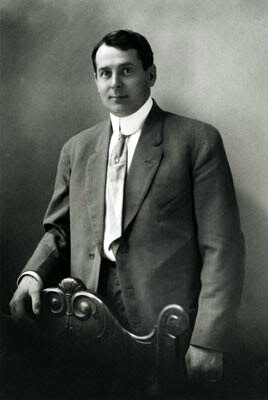 In contrast to Wardman, who arrived in America penniless and as a garment worker, Brooke was born to wealth in Birdsboro, Pennsylvania (and managed in his career to be director of both the Birdsboro Steel Company and of the Brooke Iron and Water Company). To the end, Wardman considered himself a carpenter and a builder, proudly telling a House subcommittee during an embarrassing financial investigation: “I am a builder and engineer, a constructor. Books are a bore to me.” Brooke, on the other hand, graduated from St. Pauls’ School and Yale University (in 1899), followed by architecture school at the University of Pennsylvania. After one year, he left to study at the Ecole des Beaux Arts in Paris, staying for three years (1903-06). 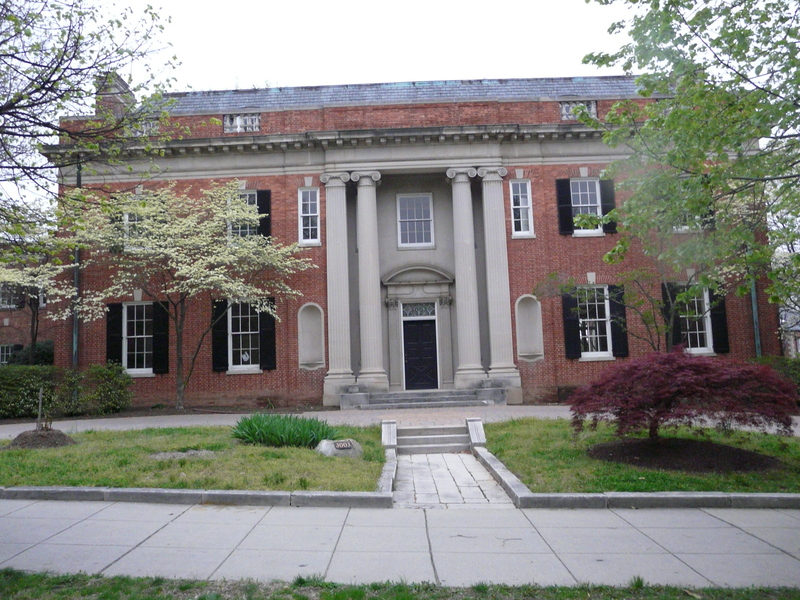 William A. Delano, the New York architect whose office the Fine Arts Commission met in to approve the British Embassy project, was one of Brooke’s references on his 1925 application to practice architecture in the District of Columbia. 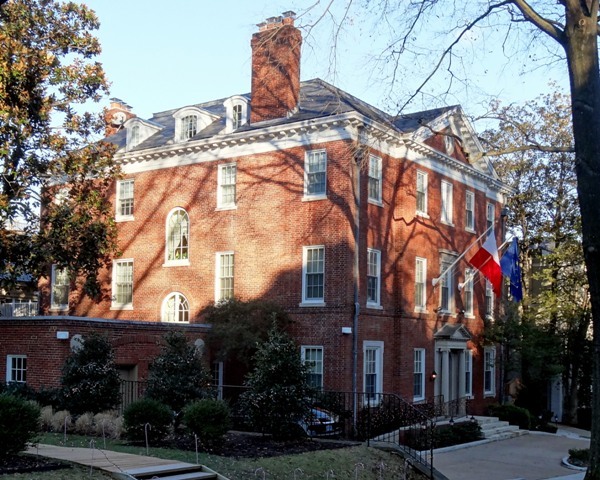 Efforts of architects and builders to keep within the $700,000 mark, authorized by the British foreign office at London, has delayed the building of the new British Embassy on Massachusetts avenue. Revisions of plans and figures has engaged the attention of Frederick H. Brooke, local architect, for several weeks to meet the limit set by the British government. Simultaneously, engineers for Harry Wardman, low bidder on the contract, have been paring down their figures to conform with the specifications outlined by the British authorities. Within the next 30 days alterations in the plans are expected to be completed so that construction can begin before cold weather delays operations (Washington Post, 2 November 1927). I beg to recall the fact that the present work is demanding one year more than I expected to give; that Wardman’s failure has led to exasperating complications and occasional unpleasant interviews, nor will these matters be ended for me for several months or more. Several commissions have been refused, due to the fact that Embassy matters were taking up so much of my time … Please don’t read the above as a dismal complaint. On the contrary, our association has been most pleasant and my acquaintance with your manner of construction and design most interesting and beneficial. It is with considerable regret that I must write the above. The British Embassy, arduous as it was, led to significant work for Brooke. He was architect of Alanson B. Houghton’s home at 3003 Massachusetts Avenue. 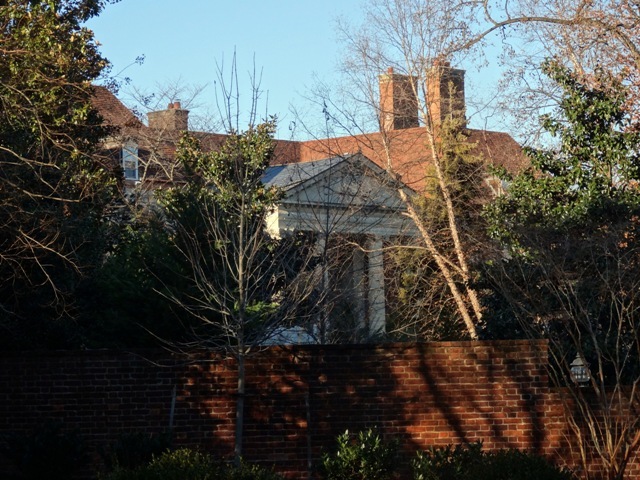 The brick and limestone Georgian home for the former United States Ambassador to the Court of St. James (1925-1929), and friend of the Lindsays (the first ambassador and his wife to occupy Lutyens’s Residence), has blank niches flanking the main entrance, an articulation of Lutyens’s found at the garden pavilion of the Embassy Residence, nearly opposite. 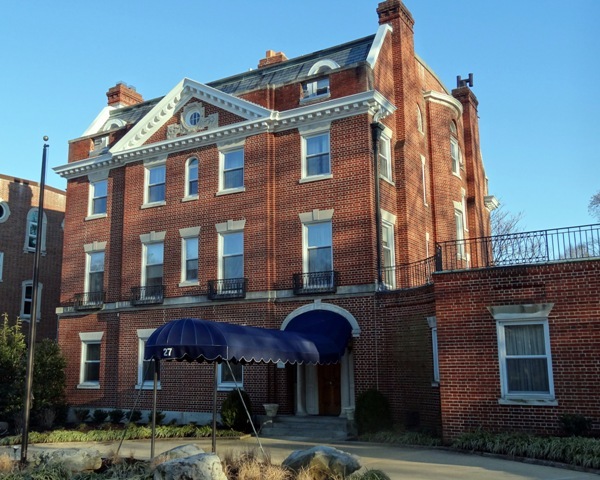 Here, as well as in the Observatory Circle houses and 3041 Whitehaven Street, are further echoes of the British Embassy: urns highly placed, round niches, tall chimneys, broadly sculpted pediments. The Houghton gardens were designed by landscape architect, Rose Greely. Unlike the Embassy, the Houghton house was built with old bricks taken from Clouds Mill, near Alexandria, dating from 1785. Brooke had more diplomatic commissions: the Chanceries of the Netherlands, New Zealand and Swedish Embassies, as well as the United States Consulate in Bluefields, Nicaragua, and additions for the Embassies of Iran and New Zealand. Brooke died at the age of 82 at his home in Georgetown, where he was one of the early pioneers in the neighborhood’s preservation efforts and a former president of Historic Georgetown, Inc. Fittingly, as Lutyens’s later work came to be dominated by war monuments in England and abroad, Brooke, although hardly in the same league as the British architect, is best remembered today for the District of Columbia War Memorial (1931), part of the National Mall in West Potomac Park. 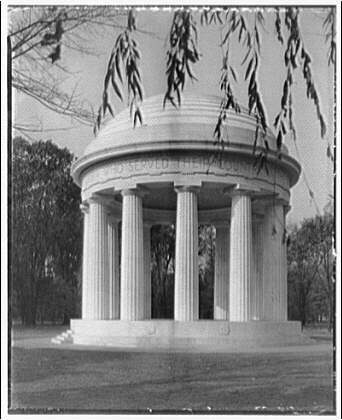 In contrast to Lutyens’s somber geometric abstraction of the Cenotaph in Whitehall (1919), Brooke’s monument is a conservative, classical domed Doric tempietto that seems to have been inspired from the Temple of Peace in an earlier Embassy plan for the complex (where a swimming pool was eventually built). The English-Speaking Union in 1991 presented to the Embassy the stone from the old British Embassy that Brooke had salvaged from Wardman’s destruction in 1931. Hardly sentimental, Wardman gave up his own magnificent Spanish-style house in 1928 (unbeknownst to his wife on a trip to Paris and vacated within 48 hours) at Connecticut Avenue and Woodley Road to make way for the luxury Wardman Tower (now on the National Register of Historic Places), connecting with the Wardman Park Hotel (now the Marriott Wardman Park, it was once known as ‘Wardman’s Folly’ for its “remote” location). 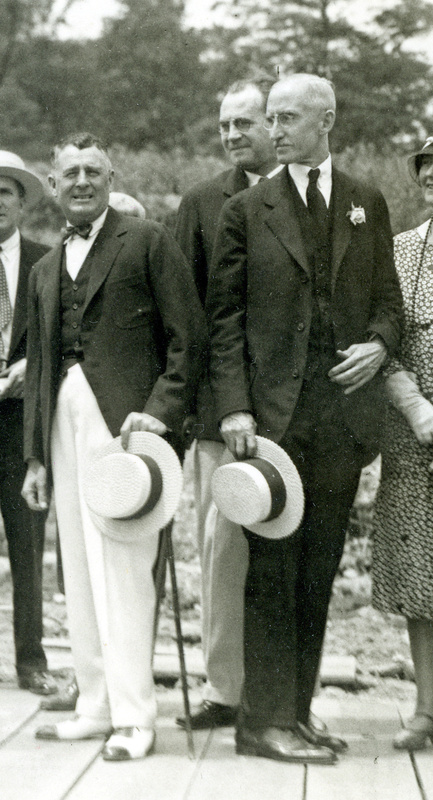 Brooke’s stepson, Elliott Bates McKee, had been former president of the Union and had passed the artifact on to the organization. 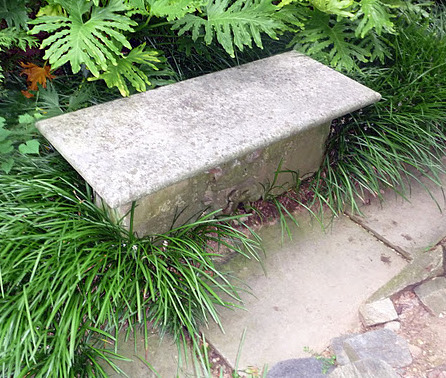 Now a seat in a secluded area of the gardens, surrounded by shrubs and perennials, the cornerstone with the VR royal cipher can be seen as memorial to Brooke and as a reminder of the association of the Washington architect and the builder. One, preservation-minded and keenly interested in Washington’s history; the other, while looking to press his vision into the city, always looked forward. Their names are enshrined in another stone at the Embassy, the one laid on 3 June 1928, with copies of Lutyens’s plans; Brooke and Wardman had both attended the ceremonial dedication (although not Lutyens). The author is grateful to local architectural historians, Pam Scott and Brian Kraft, and James Carder of Dumbarton Oaks, for some of the background information on Brooke. 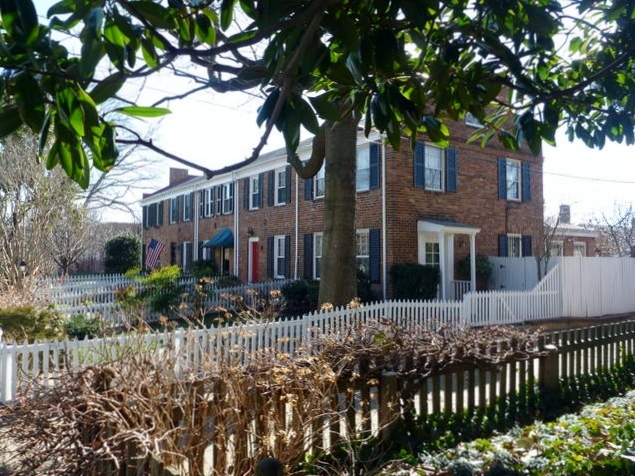 There is the legend that the bricks from the old British Embassy were used to construct a row of townhouses in nearby Alexandria, Virginia. Butler, A. S. G. The architecture of Sir Edwin Lutyens. With the collaboration of George Stewart and Christopher Hussey. Woodbridge, Suffolk: Antique Collector’s Club, 1984. Originally published by Country life in 1950. Farrand, Beatrix. “Dumbarton Oaks: An historic setting for the making of history.” Landscape architecture. July 1944, p.131-135. Goode, James. Capital losses: a cultural history of Washington’s destroyed buildings. Washington, D.C.: Smithsonian Institution Press, 1979. Hussey, Christopher. Life of Sir Edwin Lutyens. Woodbridge, Suffolk: Antique Collector’s Club, 1989. First published in 1950 by Country life. Miller, Hope Ridings. “Iranian government to have new headquarters here,” The Washington Post, 9 December 1943, p. B5. Stamp, Gavin and Allan Greenberg, “’Modern architecture as a very complex art’: the design and construction of Lutyens’s British Embassy in Washington DC,” in Lutyens abroad: the work of Sir Edwin Lutyens outside the British Isles. London: the British School at Rome, 2002. Edited by Andrew Hopkins and Gavin Stamp. Whitehill, Walter Muir. 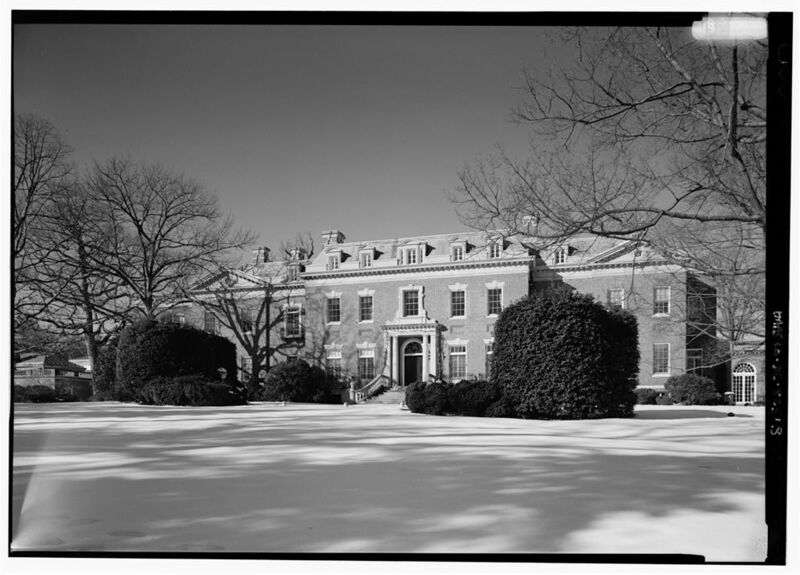 Dumbarton Oaks: the history of a Georgetown house and garden, 1800-1966. Cambridge, Massachusetts: The Belknap Press of Harvard University Press, 1967. “Who was Frederick H. Brooke?”, RIBA Journal 2006 Nov., v. 113, no. 11.